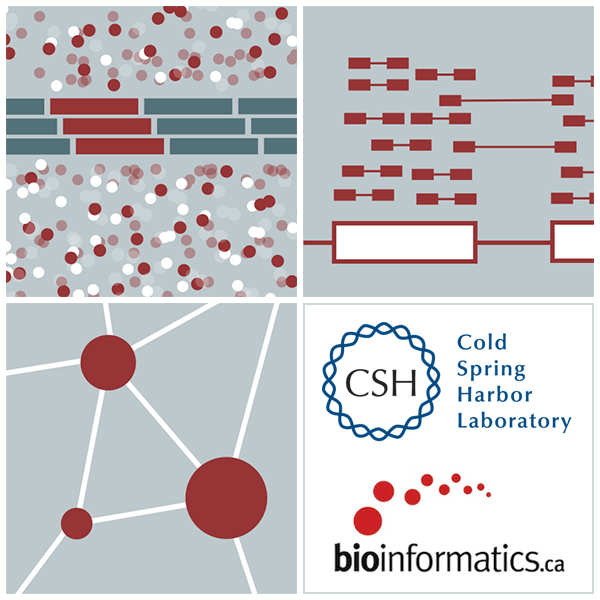 Welcome to the Canadian Bioinformatics Workshops Student Pages! Every year, the CBW offers hands-on workshops in bioinformatics. These pages contain the materials for those workshops. CBW is offering 11 workshops in 2018 covering a wide range of topics in bioinformatics. For more information on each workshop, visit the workshop announcement page. Our workshop instructors are experts in their fields. Along with the CBW Scientific Committee, the core instructors are responsible for the ongoing curriculum development and the management of the workshops. Visit our instructor page for a list of our core instructors, past and present instructors, and invited lecturers. Workshop materials are licensed under a Creative Commons Attribution-ShareAlike 3.0 Unported License. This means that you are able to copy, share and modify the work, as long as the result is distributed under the same license. Interested in proposing a new workshop? Find details here. © CBW 2016. Design: HTML5 UP.